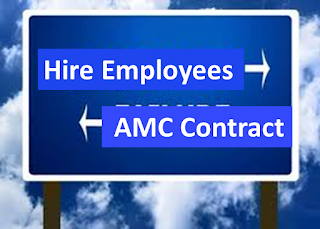 SCD Group: Staffing the Association: Employ Staff or Contract with AMC? From your Association Management days and/or days as an Association ED, do you have a template that lists the types of expenses an association needs to consider/include in a budget when it's moving from being run by a management company to hiring its own ED? I had a friend of a friend ask me and I thought you may have something from your background. Not looking for budget dollars, simply the categories/expenses to consider when making a transition such as this. I don’t want to create a firestorm but I thought it might be useful for you to see my response. So, here’s what I sent him. As you may know, I worked 15 years as an employee of a large international association and then owned an Association Management Company for 19 years. Thus, my perspective comes from being both a staff member and an AMC owner. First, based on those experiences, it makes no sense to hire your own staff unless the association’s budget is $5 million a year or more. Health care (assuming you can find it for a small staff) and other benefits (including vacation and paid leave obligations). Payroll taxes (right now the association would have to pay around 7-11% of the employee’s salary to FICA, FUTA, SUTA and other state/federal taxes). Computers, internet server and other equipment. Liability insurance (general, theft, etc.). Having your own employees brings with it legal liabilities such as unlawful dismissal, sexual harassment, etc. Legal costs for preparing, reviewing & updating employee policies. Higher banking costs (or lower returns) from being a single organization rather than being part of the pooled resources via the AMC. The potential for higher costs (hotel rooms, printing, etc.) that most AMCs are able to negotiate because they manage multiple organizations. Repair costs and cost of replacement of equipment. I think this covers most everything. As you know from your agency days, these costs will run about two times salary. While I recognize that each association needs to address this topic within its own context and culture, personally, I do NOT understand why associations think they get a better “deal” hiring their own staff. So, that's what I shared. What do you think? Great points, Steve. The only point I'd argue a bit with you on the order/importance of things in your list. Employee liability is huge. When an association hires staff, the organization and its officers (e.g. board members) carry the liability for that employee, opening volunteers up to liability for sexual harassment, fraud, discrimination, etc. D&O insurance will help, but it won't stop a claim from being filed against you. The AMC carries this liability for its employees. Secondly, hiring the best people is tough for even the best organizations. Imagine you're trying to hire an individual who needs to manage the finances, speak publicly on behalf of the association, plan meetings, raise funds, write press releases, etc. Tall order. The best AMCs have specialists for all these functions and provide those services on demand. Plus, AMCs can offer benefits (401k, ESOPs, health insurance, child care, etc.) that an individual association would likely not be able to provide. I'm a little bias, but the costs to hire a staff are prohibitive for small and mid-size associations. 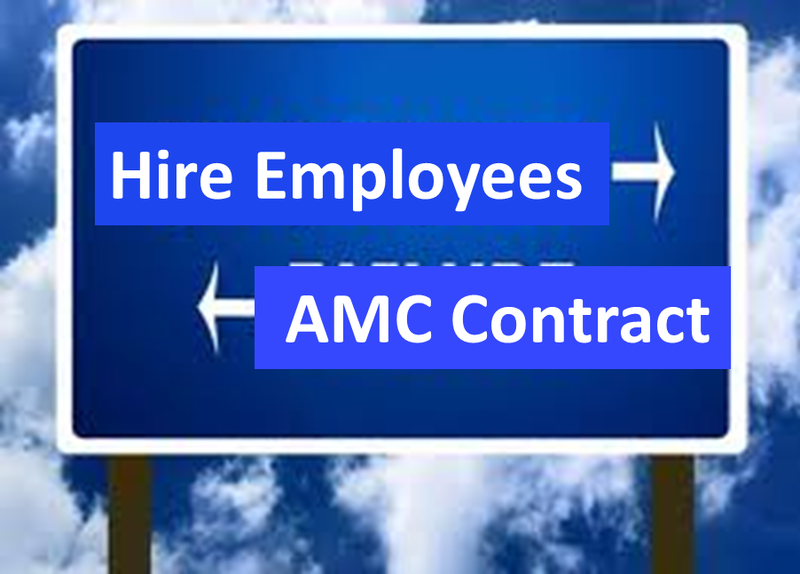 Find an accredited AMC, hire based on fit and trust (not cost) and let us go to work. As an FYI, I listed this in the order I thought of them and not in any priority. My take is that an AMC simple can't muster the "love" and caring for the membership the way association staff can. We have an ongoing relationship with our members and they count on us to know and care about them. This is wild, sweeping generalization of course, since I'm sure this doesn't apply to every AMC. But to me, using an AMC is akin to Dell Computers outsourcing their tech support to India. Yes, those folks may have great technical knowledge, but when I can't get them to understand my questions because of language barriers and/or their own lack of interest in me as a customer, I get frustrated and decide never to buy another Dell again. Thanks for your comments Ginny. When I was an association employee,I shared some of them. But, my experience is your sweeping generalization is way off base. AMC staff can share as much passion and love for the associations they work on as any association employee. My goal as an AMC owner was to know so much about our clients and clients' industries/professions that their members thought we were in that industry or profession. Your comment made me think of another blog (about the "hats" we all wear ... I'll work on that over the weekend!